With the perfect blend of luxury, energy, and style, Galleries at Park Lane welcomes you to an unparalleled living experience. Featuring a one-of-a-kind resident club space with private health club, rooftop lounge and skyline views of Dallas, Galleries at Park Lane delivers what you’ve been waiting for. Be welcomed home by thoughtfully designed rooms in an urban setting. With 10-foot ceilings, quartz-topped counters, tile backsplashes, and oversized tile showers, luxury living has never looked better. 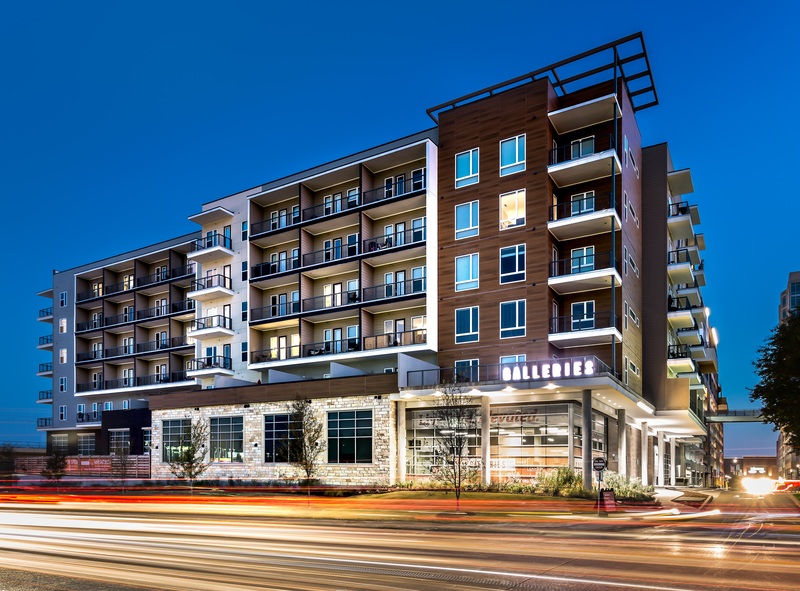 Rising above the Shops at Park Lane, Dallas’s destination for shopping, dining and entertainment is right outside your front door. This is the lifestyle you deserve and the luxury you expect. Welcome to Galleries at Park Lane, a Northwood Ravin signature community.